perception is never neutral but based on interpretation. 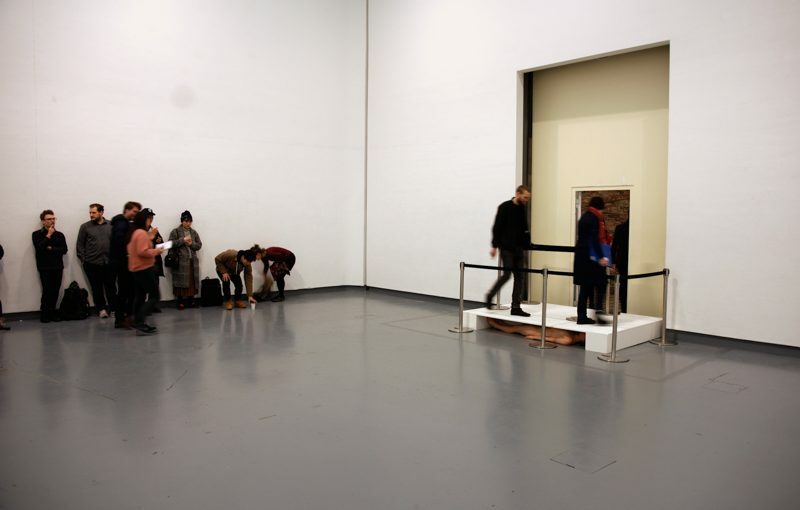 To the only entrance of the exhibition space, there was adapted a special architectonical element, a kind of platform. The public was advised to step over it by the use of an ordinary crowd control system. 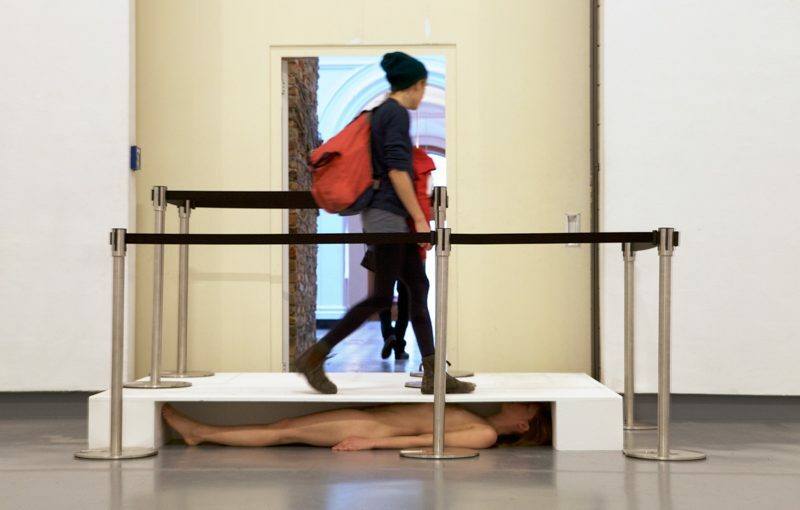 While the spectators entered the exhibition space, my body was laying in a cavity under the indicated path, complementing the image, but visible only from the inside of the gallery.